I would like to say I shot out of bed when my alarm went off at 4:30 in the morning but I didn’t. I slowly raised myself up and wondered why I was set to wake up so early in the first place. Then it hit me, I had a plan that involved me driving 5 hours into another state so I may ride, hike and exhaust myself just to drive 5 hours back that same day. I smiled and figured why not, why not take a trip that defines what it means to push your limits. I was headed to Taos, New Mexico. I had planned on going to Taos the week prior but fell under the weather. I packed all my gear into the truck and started on my way. It was too early for the Denver morning rush hour traffic, I was lucky to have missed it. I always love to drive past all the people going to work and hope they see my snowboard perched atop my vehicle. I hope they see it and wonder where he is headed off to on a Tuesday. GET A JOB! is what I imagine they would yell. 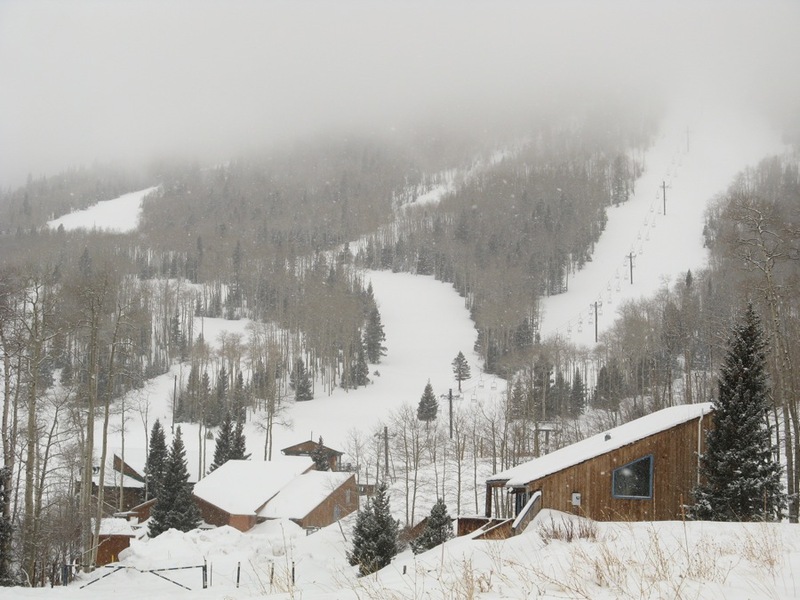 I would be driving down through most of the state and falling through the bottom of Colorado into New Mexico where I had heard of this great ski area. It seems a little nuts to drive so far for so little, but when you think about what adventures lay before it stirs the spirit. Along the way to Taos, there are lots of flat long roads to drive through. One interesting area along the way was Whiskey Pass. Whiskey Pass compared to some of the other passes in Colorado is a relative cake walk to drive over. Along the pass and right outside of Trinidad is the old ski area Cuchara. This storied ski area has operated off and on for about 30 years and it’s still intact lifts and swinging chairs are a reminder of an old ski town not ready to give up on its beloved mountain. At some point I would love to come back here and check this place out. Skin up, ride down, and relive some of the memories of this amazing place and the joy it brought to so many people. 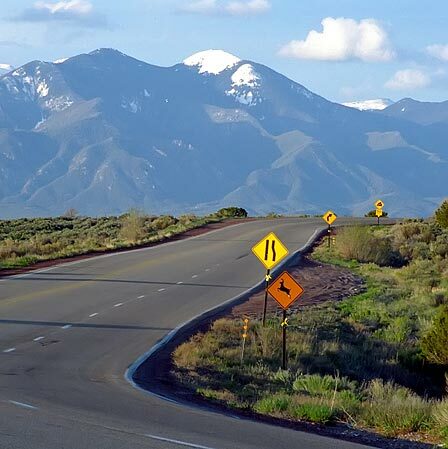 Driving into Taos you must skirt past the mountains and enter from the south side. 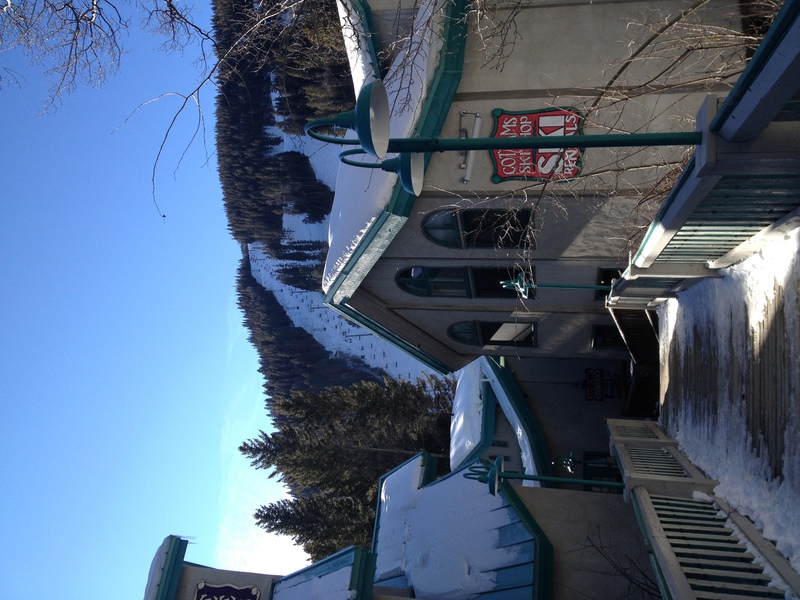 Once on the sunny side of the mountain you drive up a 12-mile canyon to get to ski valley and the lifts themselves. When I pulled up, Taos reminded me a lot of pictures of towns in the Alps. Very rustic, bright paint, and interestingly ornate in its building architecture. I walked my way to the lift watching all the different types of people – sizing them up if you will. 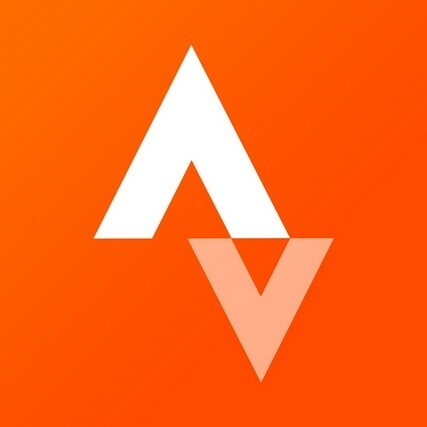 And as someone who snowboards most of his days in Summit County, riders know riders, and all I saw were lots of beginner skiers. The terrain was steep, rocky, and full of bumps. Even though the snow was chalky, they actually have snow which right now in Colorado we don’t. This being the whole reason why I decided to make this long journey down here in the first place. 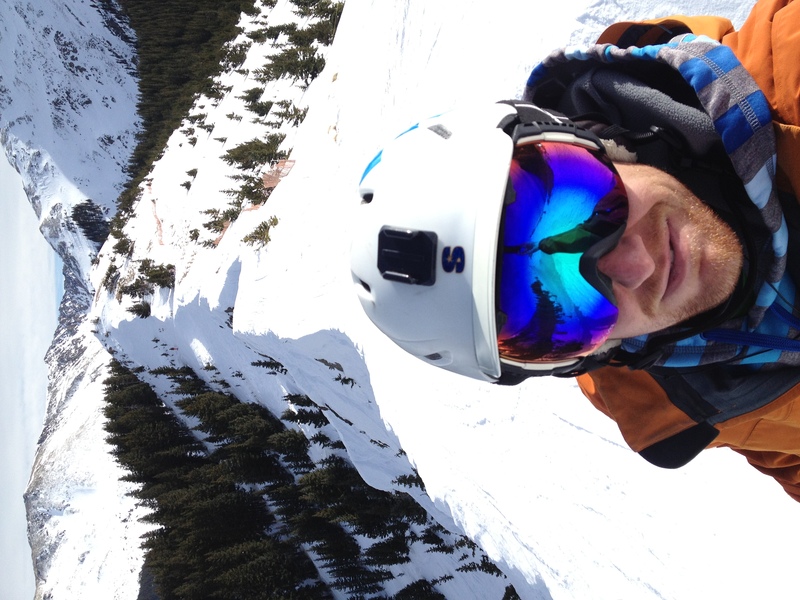 In Taos you have the ability to hike out and find some of the gnarliest terrain you can imagine. You can go as big as your mind can handle, and I was very surprised by the amount of expert terrain they had to offer. Sometimes terrain maps just don’t do mountain’s justice, areas so steep there were signs warning people about the dangers of not knowing how to self arrest. I have been in some pretty hairy situations and reminding myself of these situations has helped with the ability to calm down and ride through most anything. But I have to tell you, these signs put me in the backseat. I told myself to take my time, enjoy this line, and be careful. These are words that always help me through steep and scary situations. Sometimes the line you take doesn’t need to be at breakneck speed, but maybe sometimes it’s more about making this line flow beautifully. Taos is filled with these beautiful lines, and as long as you remember that (unless Taos gets feet of fresh powder) – slow down, enjoy your wonderful line and walk away with some great stories. I will be back to Taos, but this time I will bring my friends. 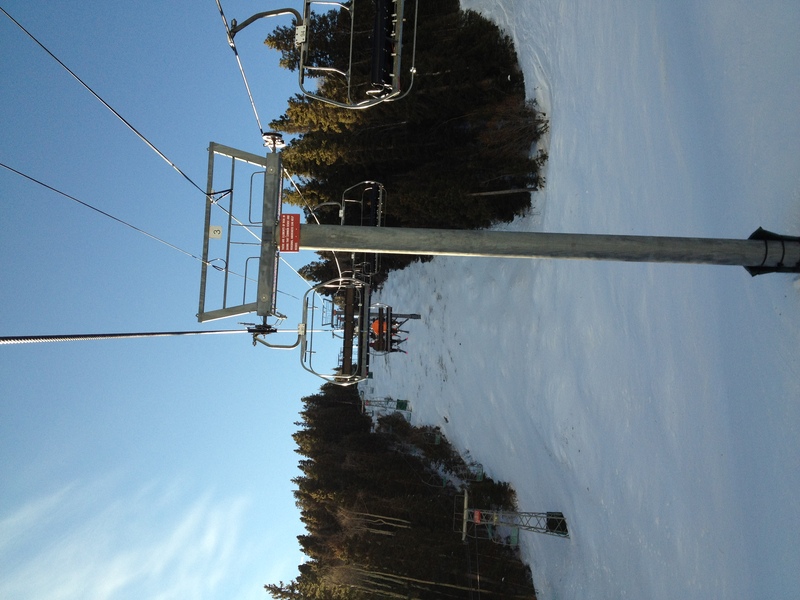 We will go down to Taos and show them how things get done in the mountains of Colorado. 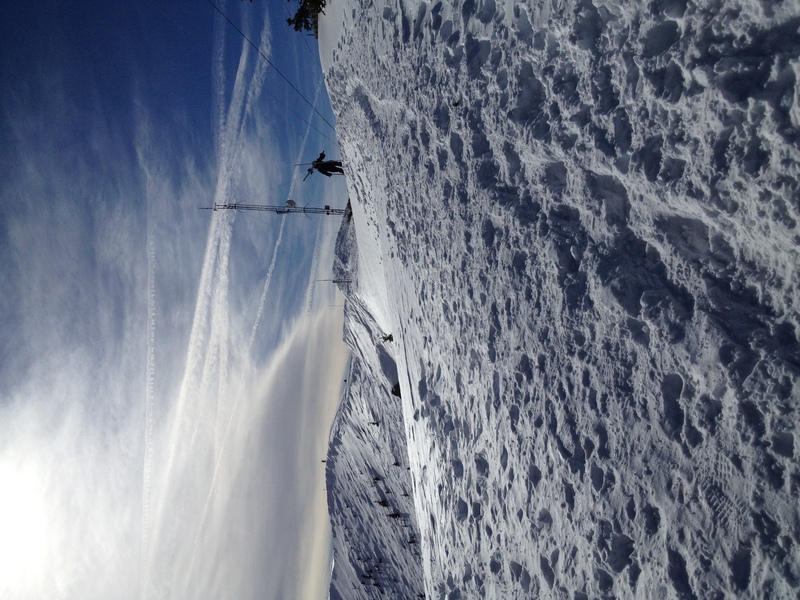 Remember snowboarding is a dynamic sport and as long as you’re having fun, that’s all that matters.